particular patient on the basis of these data analysed. 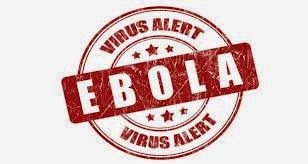 outbreaks and especially Ebola outbreak that has been on the rampage of late. from one person to another mainly by wind. and efficient technologies in doing so. Let us not always point fingers at each other, we have to understand that this is a responsibility of each and every individual regardless of race, age education standard and status quo. Lets all kick Ebola out of Africa. How To Recover Deleted Messages and files On Android Phones.